If you are a first time visitor, we encourage you to check out our awesome About Us page! Basically, we are a husband/wife blogging duo and through our writing, we hope to inspire our readers to also develop their defined sight when it comes to Motivating Money Topics, Careers and Professional Development, and other Lifestyle/Teachable Moments. This image will not likely go viral on Pinterest, but accurately describes the look in my eyes after spending a weekend with Tailwind tribes. 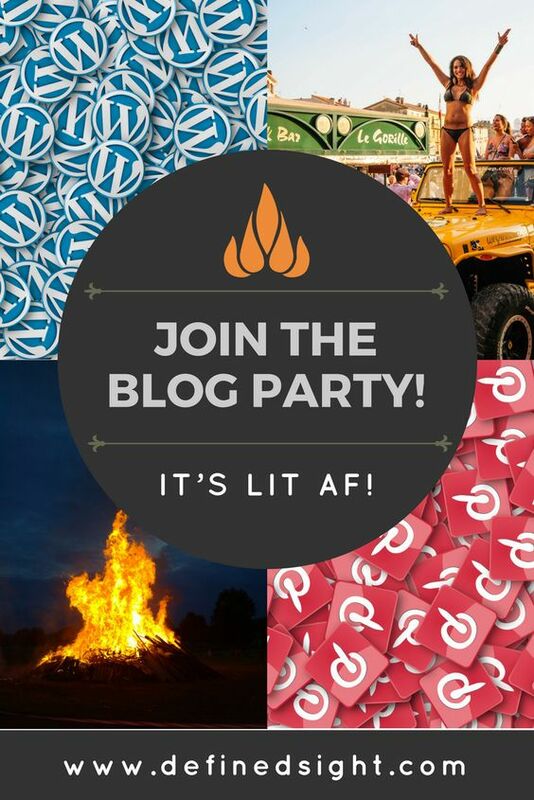 That’s right, we are having a blog party. And you my dear friends, are all invited. Location: Anywhere with Wifi. Time: Anytime. Clothing: Optional. All content posted on this blog represents our personal opinions and views and should never be considered as professional advice. We are also not a life coach. You should do your own research and consult with a professional before you make any decisions that may impact your life. By use of this website, you agree to these terms. Join the Blog Party with Defined Sight!